Sentinel-1 is the first satellite mission of the ambitious Copernicus programme, an Earth observation and monitoring project planned and developed by the European Space Agency (ESA). When completed in 2020, the Copernicus programme will feature a rich and diverse family of Earth observing satellites continuously acquiring a wide range of data over oceans, land and ice. This family will provide vast amounts of data of great quality, an invaluable resource for individuals and organizations working in environmental research and monitoring. If this were not good enough news, ESA has decided that almost all satellite data will be made freely available! Sentinel-1 is a constellation of 2 polar orbiting satellites, each carrying a single C-band synthetic aperture radar, aimed at obtaining continuous radar imagery of the Earth. Sentinel-1A was launched on 3 April 2014, while the launch of Sentinel-1B is planned for 2016. The Copernicus programme has recently been expanded with the launch of Sentinel-2A, a remote sensing satellite acquiring images in the visible and infrared portions of the spectrum, that is, an instrument in the same class as NASA/USGS Landsat. 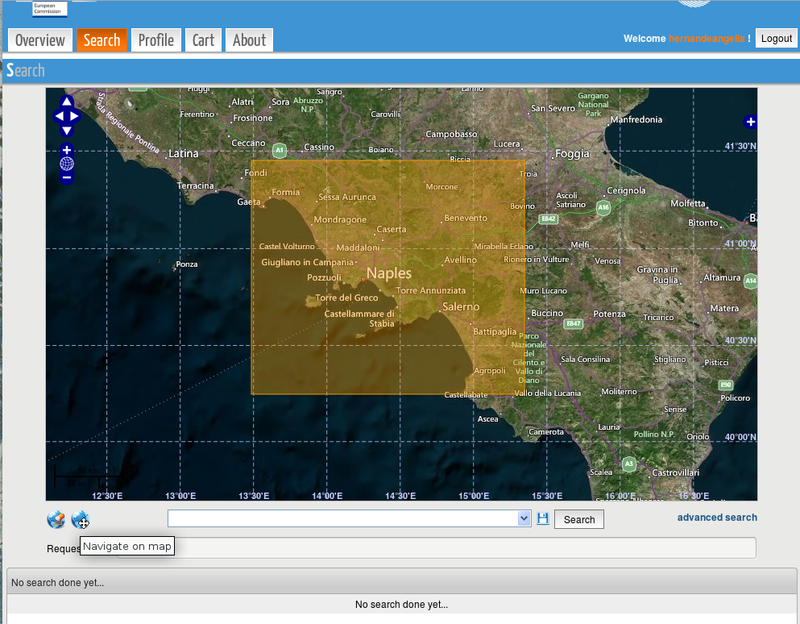 We here have a look at how to search and download images acquired by Sentinel-1A. In the next post we will go through some pre-processing steps using freely available software provided by ESA. 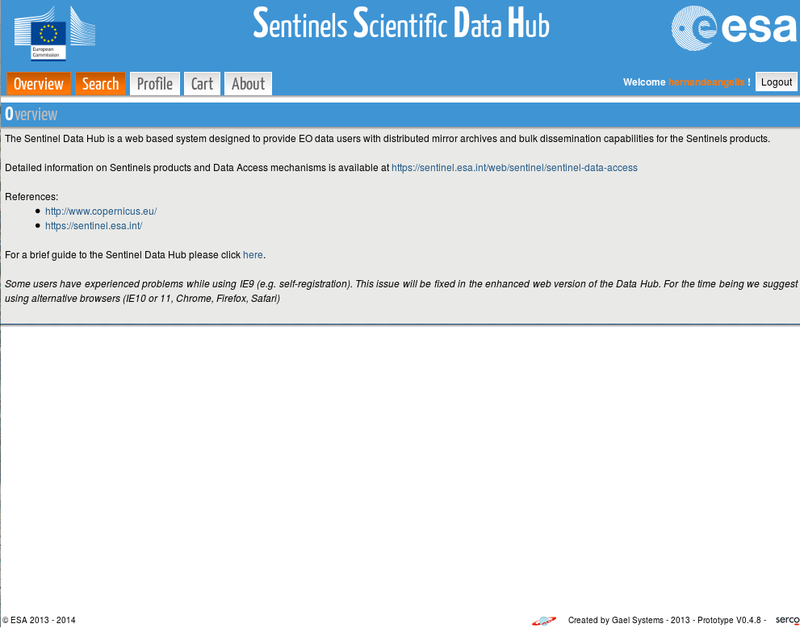 We begin by opening the Sentinels Data Hub in a browser. Although the images are free, one has to register to have access to the data. If you do not have a login, this is the time to register and create one. We are now ready to start processing these data. As with any other instrument, it is important to become acquainted with the technical details, which you can find here. 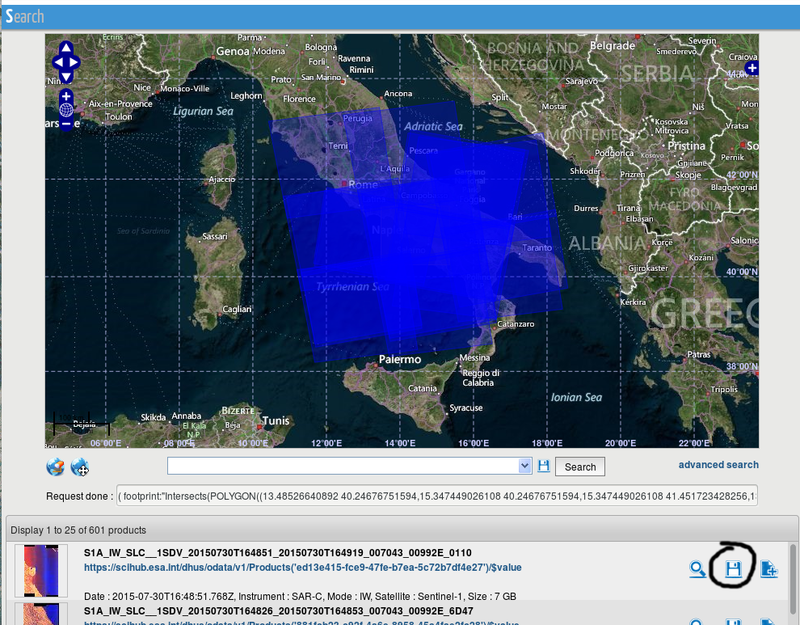 In the next post we will have a look at how to do this using software provided by ESA. Previous Previous post: Metaphors of complex systems. Notes on the adaptive cycle. Reblogged this on Owen Powell.